Read what NXTGEN is all about! 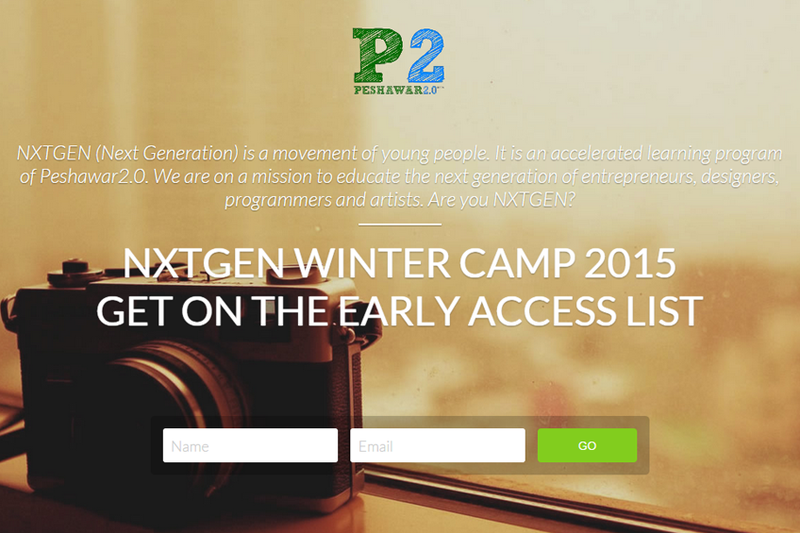 We have gathered a rockstar team of instructors for our Winter Camp. These are doers, creators and passionate people who are making brilliant art. They share our belief of infecting more people in Peshawar and KPK with the bug of Tech, Design and Art. Word on the Street about our Adobe Photoshop Bootcamp ( held on 16th November 2014 at Basecamp). Our Bootcampers loved their immersion experience of 10 hours of classroom training and exercises. It was worth my time. Attending this Photoshop Bootcamp of Peshawar2.0 was an excellent learning experience. Before coming to bootcamp, I was only a developer. I always wondered how can I learn Photoshop and increase my knowledge and understanding of design. This experience has taught me the value of hands-on learning which this workshop offers. Thank you Peshawar2.0! Great learning experience This model of accelerated learning is just amazing. Would love to visit again! It was my first experience to sit and work in a class for 10 hours. This was intensive. And I enjoyed every bit of it. I enjoyed and learned at the same time. Now I can claim that I am not scared of Photoshop. Learning space (Basecamp) is an absolute treat for spending your day. At the Bootcamp, I have learned that you don’t have to spend a lot of time, money and energy to learn basics of Photoshop. Thank you Peshawar2.0 for an enjoyable day at Photoshop Bootcamp! Head here for all the latest updates and here for tickets! Biology going Digital: What is Bioinformatics & Computational Biology? The training was incredible and have learnt a lot. It was really amazing experience of my life because in a class of ten hours I never felt bore and become an expert of Photoshop even I was a starter............Thanks to sir Bilal.